In September 2016, Sony unveiled the Xperia XZ and at the MWC 2017, the tech giant followed it up with an Xperia XZs. The two phones have a lot in common – screen size, processor, storage options, battery capacity and more, but the XZ has a smaller 3GB RAM and 23MP rear camera compared to 4GB RAM and 19MP camera on the XZs. Now, if Sony is to keep up with this strategy, the MWC 2018 will witness the launch of the Xperia XZ1s, a slightly amped version of the already unveiled Xperia XZ1, alongside a successor to the Xperia XZ Premium, probably the Xperia XZ1 Premium. The details of these two phones remain patchy, but when coined together, they do make some sense. So far, we know that Sony is working on a series of phones, some of which will ship with a bezel-less display and up to 4K resolutions, but there are also others expected to ship with 1080p resolutions. If anything, the former should be the Xperia XZ1 Premium and the latter is the Xperia XZ1s, but unlike this year where the XZs had nearly the same specs as the original XZ, the leaked specs suggest that Sony is taking the Xperia XZ1s to the next level with powerful specs and features that you’d expect to see on the Xperia XZ1 Premium. In fact, it’s possible that the only notable difference between the Xperia XZ1s and Xperia XZ1 Premium will be the design, where the latter is expected to jump to the trending bezel-less design with a screen-to-body ratio of more than 90%. 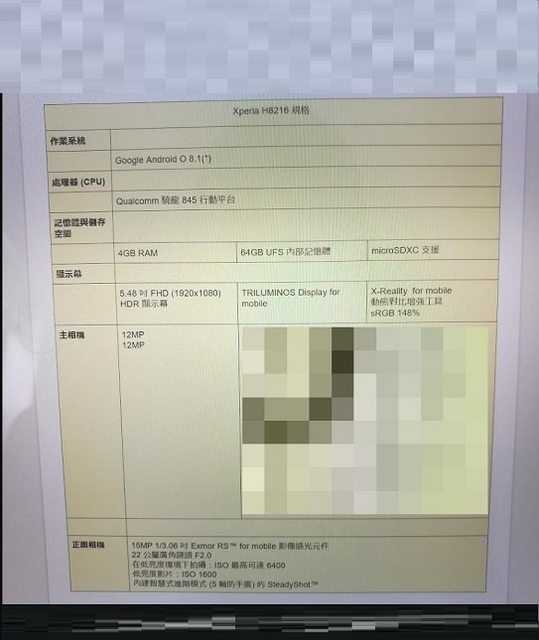 As per the leaked XZ1s specs, the phone, which has model number H8216, is expected to feature a 5.5-inch display screen with a 1080p resolution, a slightly departure from the 5.2-inch used on the XZ1, XZs and OG XZ. The XZ1 borrowed the main camera of the XZs, but this won’t be the case as far as the Xperia XZ1 and Xperia XZ1s are concerned. Instead, the leaked specs sheet points towards a dual 12MP camera on the back and a 15MP shooter for selfies. The Xperia XZ shared the same processor as the Xperia XZs, but from the look of things, the Xperia XZ1s will ship with a newer and more powerful Snapdragon 845 SoC as opposed to the outgoing Snapdragon 835. The processor will then be paired with 4GB RAM and 64GB of expandable storage, same as the XZ1. With Sony being the first non-Google OEM to announce devices powered by Android 8.0 Oreo, it only makes sense that the upcoming Xperia XZ1s will be powered by Android 8.1 out of the box. Keeping the phone alive will be a decent 3130mAh unit, which is a welcome move if indeed the screen size will be upgraded to 5.5 inches. The Xperia XZ1 has a relatively small unit of just 2700mAh, even smaller than the 2900mAh unit used on the Xperia XZs. 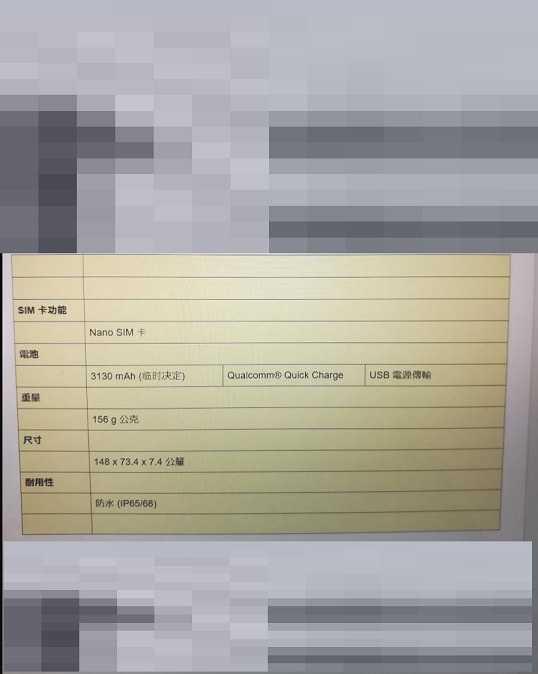 The leaked specs sheet also suggests that the alleged Sony Xperia XZ1s will support dual-SIM connectivity, Quick Charge technology as well as IP65/68 dust and water resistance, but there won’t be a USB-C port. Instead, the phone will revert to the good old microUSB port, which is quite strange considering that a huge chunk of the company’s handsets from last year have all come with a USB-C port. If anything, this doesn’t sound right, something that casts a shadow of doubt on the leaked specs sheet. In short, take this with a grain of salt, just like you’d do with any other unconfirmed reports. Previous Previous post: What’s the appeal of Google Project Fi when Straight Talk has a true Unlimited plan at just $55?